At last. 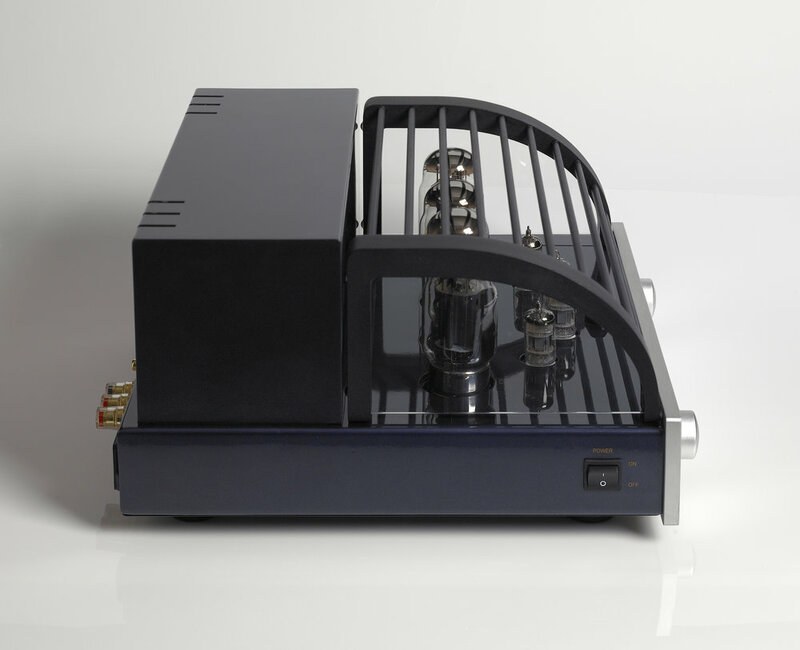 . . An integrated amplifier that does it all - satisfies the audiophile's most stringent demands and keeps the home theater bunch happy as well. The new DiaLogue Series takes PrimaLuna to the next level and raises the bar for affordable high-end audio with astonishing performance. Upgraded Solen capacitors made in France . The result is an even better midband and wonderful clarity. 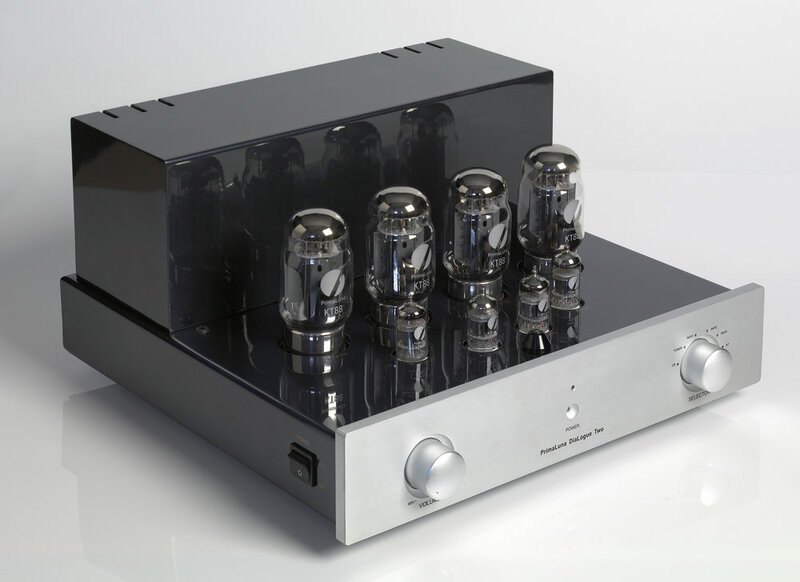 KT88 Output Tubes. We use the current production copy of the legendary Genalex KT88. Adaptive AutoBias. Exclusive to PrimaLuna, this circuit monitors and adjusts bias automatically. Improved performance and better sound, with distortion reduced by 40% to 50% over conventional designs. Like to experiment? Plug in virtually any power tube. Adaptive AutoBias will automatically adjust itself! In addition to KT88s, you can use 6550, KT90, EL-34, KT77, 6CA7, 6L6GC, KT66, 7581, EL37, and any of their equivalents. Premium parts. Fully vented chassis, chassis-mounted ceramic tube sockets, Alps potentiometer, Nichicon and Realcap capacitors. WBT style speaker terminals. Gold plated input jacks. Triode/Ultralinear switching. Allows you to switch how the power tubes operate on the fly. True Home Theater pass thru. Unlike some integrated amps that use unity gain that can introduce unwanted noise and coloration, the DiaLogue Two incorporates direct-line circuitry that completely bypasses the preamp section. Heavy metal anodized aluminum remote control. Full function remote controls volume, source selection, and triode/ultralinear switching. To protect the finish of your wood furniture, the ends of the remote have rubber rings. Uncle Kevin insisted on this point after having several end tables ruined by heavy remotes scratching and dinging the finish. For those of you who like to record through tubes, the DiaLogue Two is outfitted with a tape output. Dimensions (WxHxD) 15.2" x 8.3" x 16"